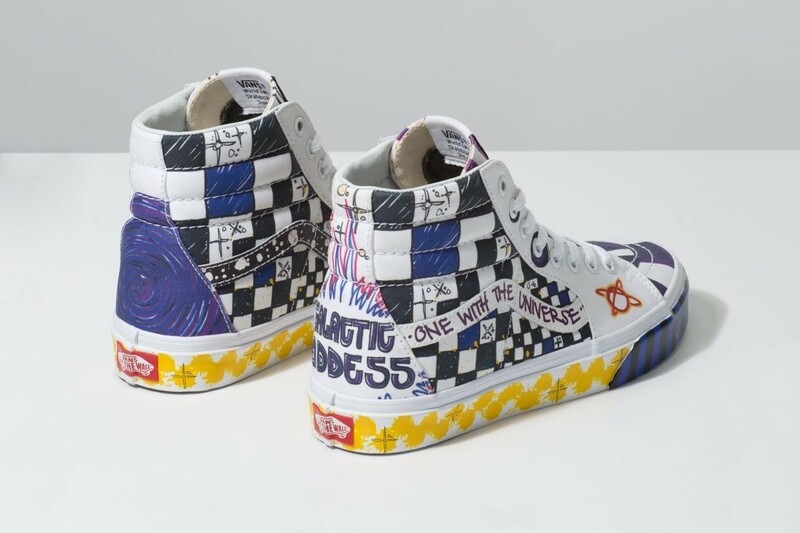 Keeping in line with the psychedelic aesthetic seen in other recent Vans packs, the Californian sneaker imprint’s “Galactic Goddess” pack delivers a heaping helping of playful, color-drenched imagery. Scribbled imagery and bright hues appear on the classic Sk8-Hi and Authentic, with a complementary shirt to match. 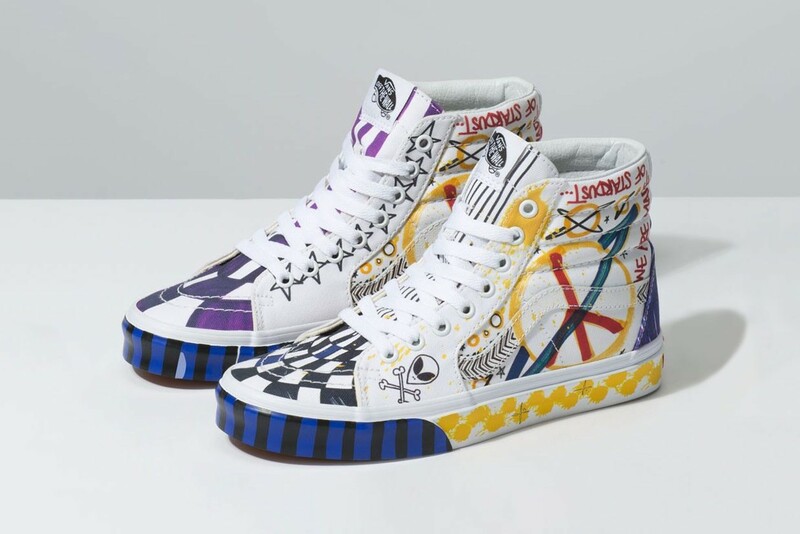 Rich doodled details appear throughout the collection, with distinct detailing seen on each style of shoe. 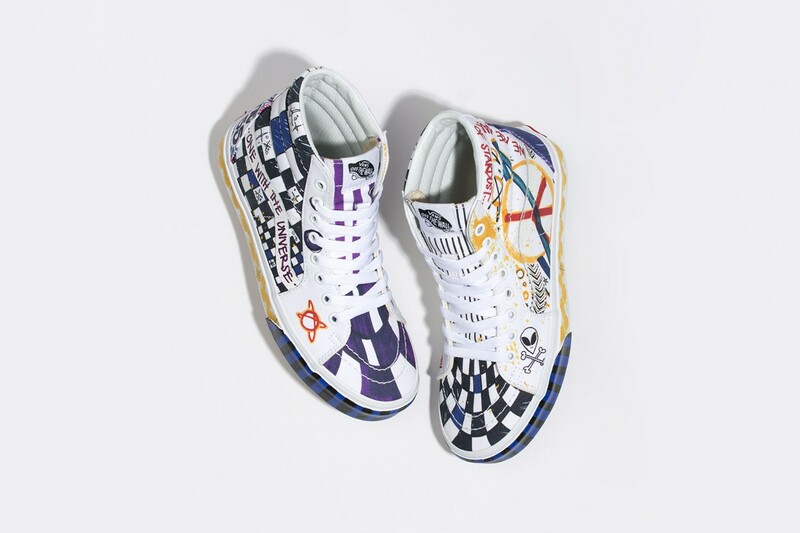 The Sk8-Hi sports checkerboard drawings on the toe, stars scrawled over the eyelets and an oversized peace sign, complete with “ONE WITH THE UNIVERSE” and “MADE OF STARDUST” verbiage. Meanwhile, the Authentic offers paint splats and colorful color blocking on the midsole to match the Sk8-Hi, with several unique accents. 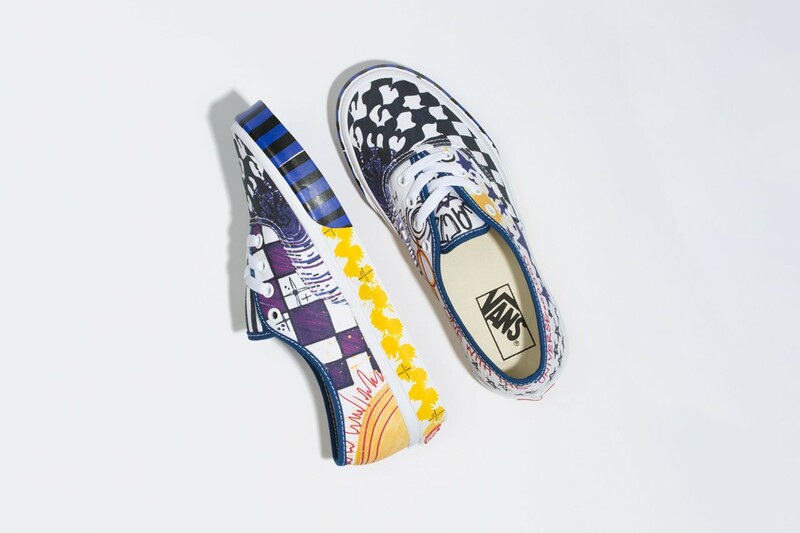 These include a sun drawn on the rear of the left shoe and wavy checkerboards on the right sneakers toebox. The pack is completed with a white long-sleeve T-shirt. While both sneakers are heavily saturated with stylized details, the shirt is comparatively minimalist, spacing out the paint splatters, stars, sun and alien head doodles throughout. 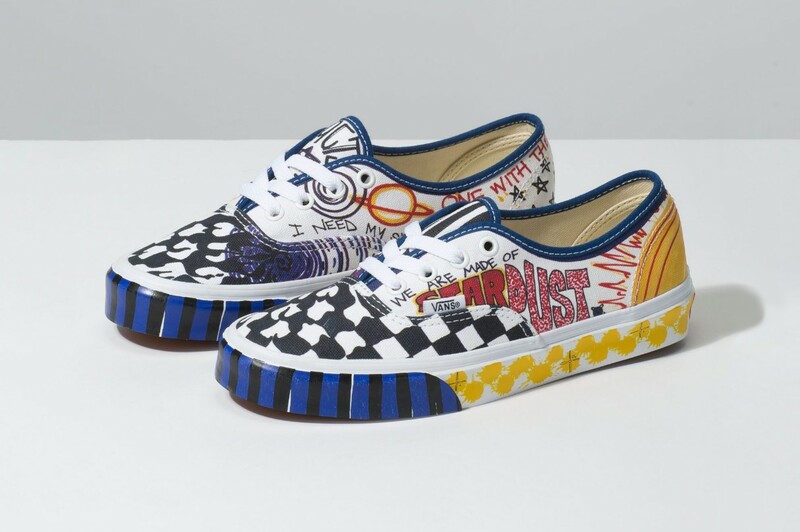 Though ostensibly a women’s release, both of the sneakers are available in unisex sizes (up to a Men’s 10), and the shirt sizes up to an extra large. Though the colorful Sk8-Hi is currently sold out on Vans’ web store, the Authentic is still available, with more stock of both styles possibly arriving at your local vans store soon.